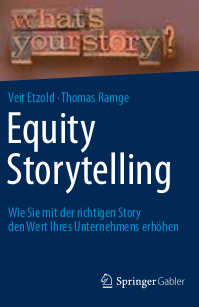 “Equity Storytelling” by Etzold and Ramge is now available in English! Investors pay more for a company. When they buy its story. 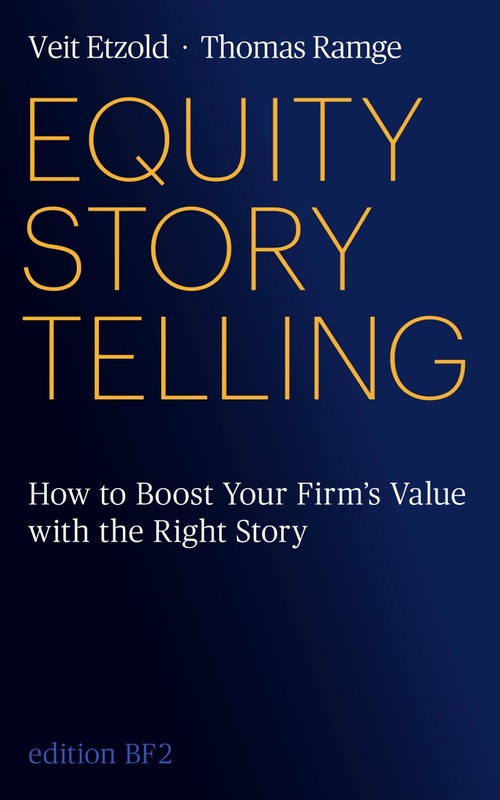 This book shows you how to tell a compelling equity story. 1. Recognizing potentials for giving the firm a unique positioning. 3. Telling the story to the addressee (investor) so that he “buys” it. May the villains in search of capital die the death by PowerPoint. Heroes tell equity stories with the tools of storytelling. Then the story becomes the $tory. To Tell is to Sell. Order it right here for your kindle for only 2,99 €!